What is your child doing this summer? Attending various camps, playgroups, going to his or her regular daycare, or even staying home? Many children do a variety of activities in the summer that are different than those offered during a regular school year. Families, counselors, daycare providers, and teachers can help get preschoolers ready for school and learning using age-appropriate and fun activities. We have previously discussed some of the learning that can take place on a simple walk. Read our previous posts for ideas regarding activities and questions to help children better understand science and creativity! We hope you will share these thoughts on developing inquiry. This week, we continue our "walk" through summer. 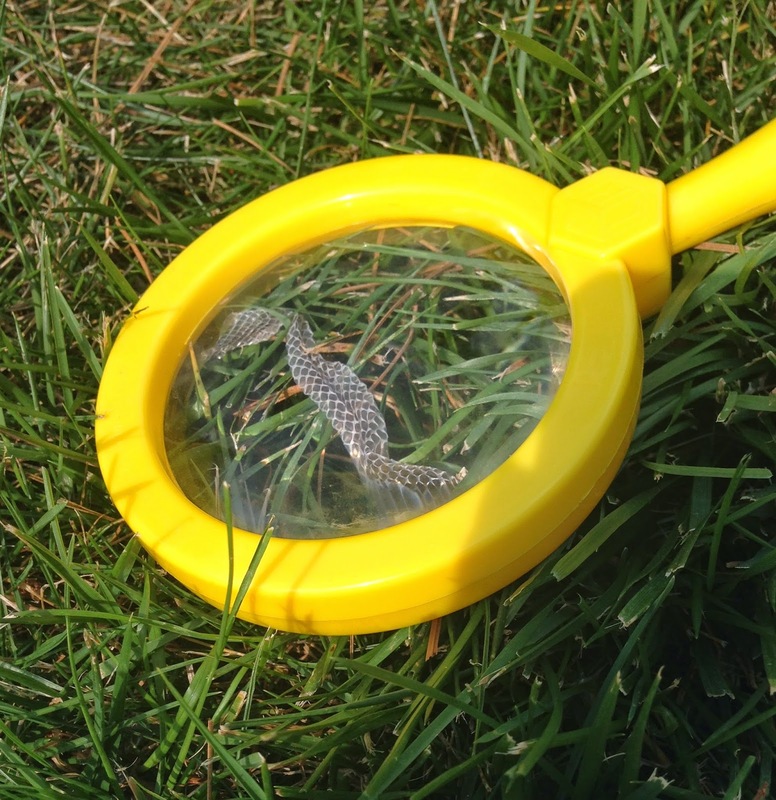 Why not have your child (or children) carry a large magnifying glass on an outing? Encourage children to stop whenever they see something that is interesting. 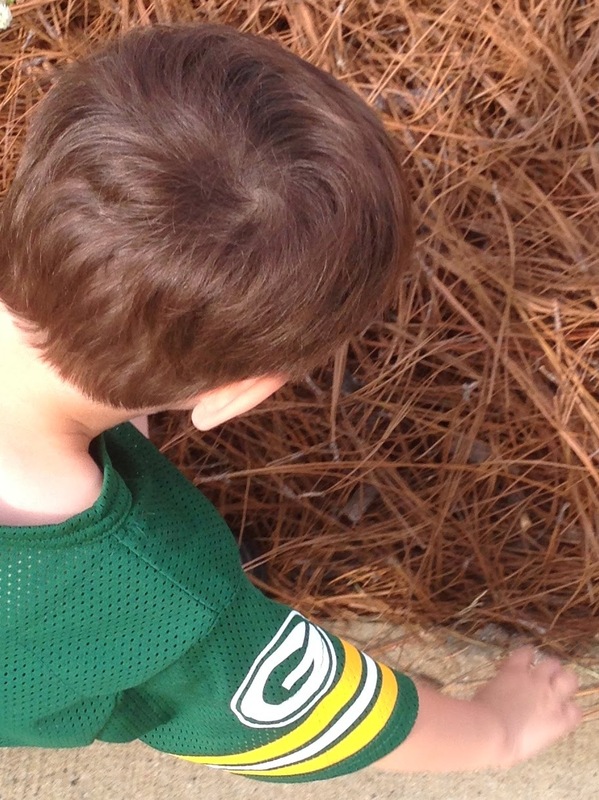 This child stopped to wonder about pine needles and connected them back to a project he had done. He realized they were natural items that were a part of trees. For some children this may be something as simple as a pine needle. One child said, "I think pine needles are for building rocket ships." We wondered about this observation. The child continued with a story of how he had once used pine needles to glue onto a tissue paper roll as fire and steam coming from a rocket. That child continued by looking at the tree and said, "But I think pine needles are really for trees. Maybe they help the tree get sunshine." This is inquiry! The child wondered about something, asked himself a question, and tried to answer it based on his observations. The best part of taking a leisurely stroll is that you never know how nature will surprise you. On one walk, this child spotted something interesting. 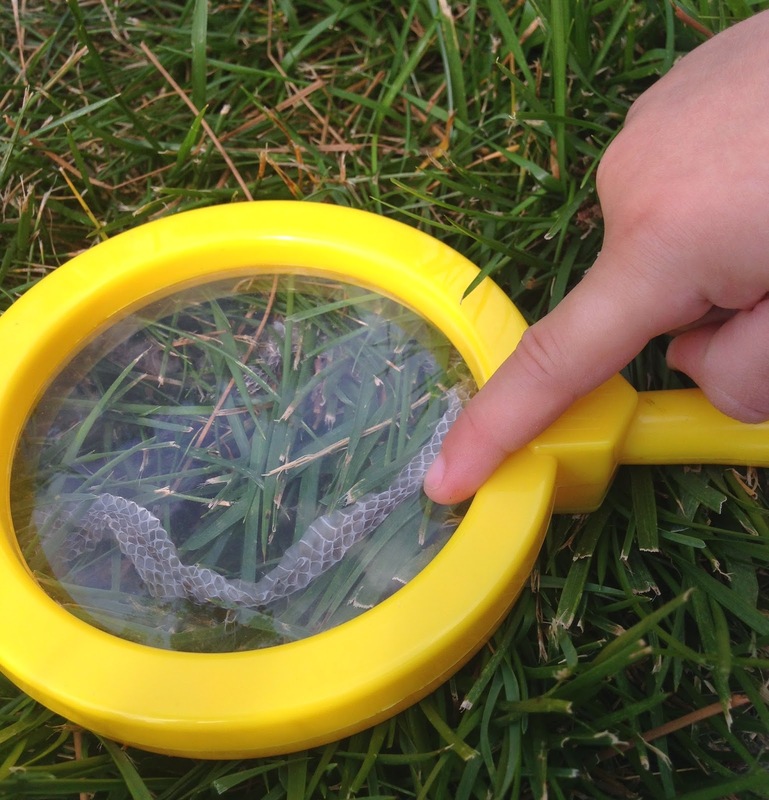 Looking closely at the natural world can reveal fascinating objects! He bent down and examined it with the magnifying glass. The child described it in detail using vocabulary such as, "looks like paper with colors" and "it has a pretty design that looks like diamonds." These kinds of observations build expressive language. The child described details about the object. When asked what kinds of things he wondered about the strange object, he responded, "I wonder what it came from." His walking companion asked if he thought a person made it or if it came from nature. He bent down again and after several moments of looking at it and the environment, he responded, "I think it is from nature." While it was tempting for the adult to simply tell him what it was, the child was given the opportunity to look it up on the Internet. Of course, an adult found similar objects for him to chose from on-line. He was able to say it was almost like one of the Internet images. The adult read the words to him, describing it as a snakeskin. This helped the child learn the importance of informational text and that resources can help answer questions. See if your child can match letters to the meaningful letter that was made. Finally, the child found a play snake in his toys. 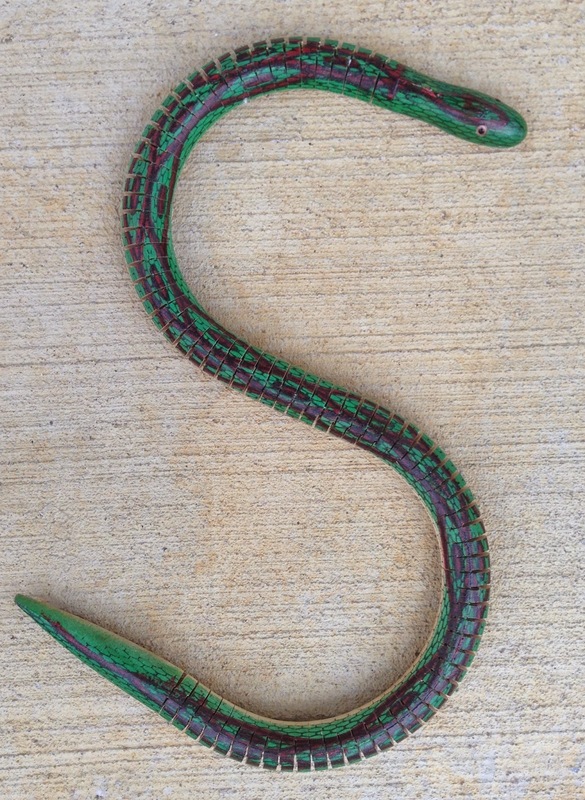 This was turned so it looked like the letter S. Now the child was off on a new adventure: finding other objects that began with S. This letter had new meaning!